Is your iPad a little bit sad from all those boring apps? Are you finding it hard to be impressed by an app? Are you feeling the pinch as the distance till payday seems infinite? 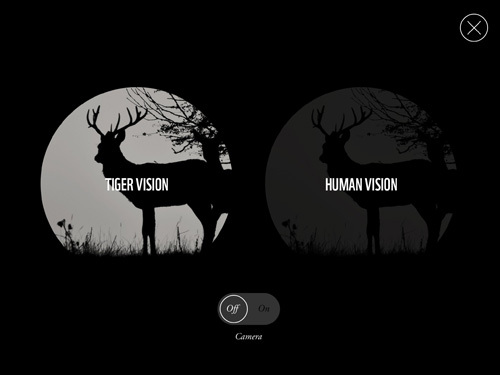 Fear not because the WWF are here with an app that will blow you away with just how great it is. This is what the iPad has been designed to do. Its got amazing pictures, amazing videos, lots of facts, social networking shortcuts (fear not for those who do not love social networks, its not in your face, no pun intended) and presented in a way that your iPad will be calling you to dip in again and again. This is easily an app for adults and kids alike, and at 5 Princess C can navigate around this very easily. Sometimes she needed a prompt on how to chop down the bamboo or how to reveal the panda fact, no help needed to make the sharks jaws come down and bite, or turning on the tiger's night vision goggles. Each animal topic is divided into sliding sections, and once you have visited all for that animal it folds down into a origami animal that you can print out and make yourself. I love origami and can't wait to print some of these out and have a go. You can then share the story through social media to your friends. I tweeted my story and it posted a YouTube video. 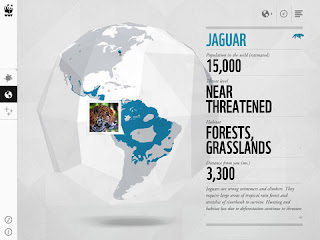 The globe option is great for children who are learning where in the world animals live, the blue areas will tell you where in the world the animals can be found, and facts like how many are in existence, their distance from you (if you allow your location to be sent), threats to their survival and an interesting fact. You can turn the globe around too. This is a must have app for anyone with a love of animals, there are so many animals already pre-loaded and here's hoping they will add to it. For a free app this just amazing, download today. 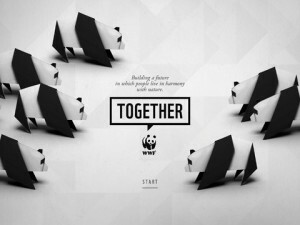 Check out the Capptivated Kids Blog for more on the WWF App and other cool 'Green' app recommendations!